When you're connecting the dots by following the numbers, it's easy to visualize the end result. 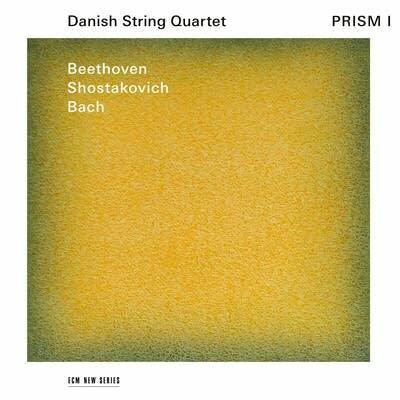 On their new recording, Prism I, the first in a series of five recordings, the Danish String Quartet establishes lines of connections from the past to the future, with Beethoven's late string quartets providing the foundation. Can you talk a little bit about how this project evolved and what got you inspired to do it? "My name is Asbjorn and I'm the viola player of the Danish String Quartet. The late quartets by Beethoven are huge masterpieces that any string quartet spends so much time working on and trying to figure out how to play. We started playing this music at a quite early age. I think we were 20 years old, 21 years old, and we were maybe too young to play this music. It was always weird to play it. It felt like it was kind of disconnected from all the other music that we were playing. "As we got older and wiser, we started to read some things about these quartets and actually this is very connected to the past and actually also the future, which is what this project is really about. We tried to show the connection from Bach's Well-Tempered Piano and how these fugues found their way into [Beethoven's] late quartets. And then we want to show how Beethoven took this kind of heritage and opened up so many different possible paths to go. "So that's the linear connection from Bach to Beethoven. And then Beethoven with these last five quartets really kind of explodes everything, much in the same way as when a beam of light hits a prism." On this first of your 5-CD project, where are the travels starting and where do they take us? "This is Fredrik speaking, the cellist of the quartet. I think you should consider this an emotional journey. The late quartets are called the mad quartets because they were so strange in his time and they are very strange even today. When you play this music, it opens a new room for you to explore." Let's talk a little bit more about that emotional journey which starts off with the Bach fugue which was arranged by Mozart. What is that mood that we're starting with? (Asbjorn) "It's a pretty short fugue  just a couple of minutes long  in E-Flat Major. It's a very open key, that is ringing very well when the string quartet plays it. And, then, it's like he's opening up the door and we see where these two later masters take the music." That Bach fugue flows seamlessly into the Shostakovich quartet which is in the same key. The mood here changes dramatically. There is this sort of looming sense of death which really plays a key role in this work, including the fact that the composer wrote it just a year before he died. Can you talk more about that? (Fredrik) "I certainly see the dark vibe in the Shostakovich. But I also see light and a sensation of hope in this music, also. Almost like saying, 'Okay, this was a tough one, but, you know, better times are to come.' In fact, the duality between the darkness and the light is so important to keep this work interesting. The light of it plays a very important role, actually." The recording closes out with the first of Beethoven's late string quartets, No. 12 in E-Flat Major. I have to say, as I just put this recording on to listen to it from start to finish, it was a welcome relief. It was like, "Oh, here we are. We're back together, we're having a good time, we're having this wonderful sense of community." That was my reaction to it. What do you sense when you play that Beethoven quartet? (Asbjorn) "I mean, you're right, especially in this context where it comes off of this very, very silent, bleak Shostakovich. Then, it's this kind of ringing change from E-Flat Minor to E-Flat Major, which is for a string quartet the most resonant kind of chord you can make. You don't get a string quartet sounding any more resonant than this. "But then, at the same time, we have that duality again because you have moments in the second movement where he removes a couple of voices, and in the end it's just the first violin and the viola playing very, very simple  few notes. Maybe that's the genuine message I get from this music: On one side, it's a big classical piece of music  big architecture, all this stuff  but it's also very human, very personal and very tender and very intimate." Exploring the connections of the past and the future through Beethoven's late string quartets is a journey that has taken the Danish String Quartet to new places  as musicians and as individuals. 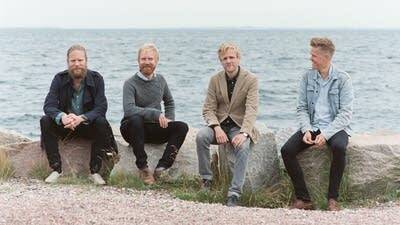 (Asbjorn) "We already recorded four of the albums. We will do the last one in January. It's quite extreme to have recorded those late Beethoven's. Because you think it's one thing, but each of them is its own little planet. So, it's just extremely challenging on every level. I think we're definitely at a different place than where we started." To hear the rest of my conversation, click on the extended interview above, or download the extended podcast on iTunes or wherever you get your podcasts.